Palm trees have beautiful strength, character and movement. They can make a great subject. 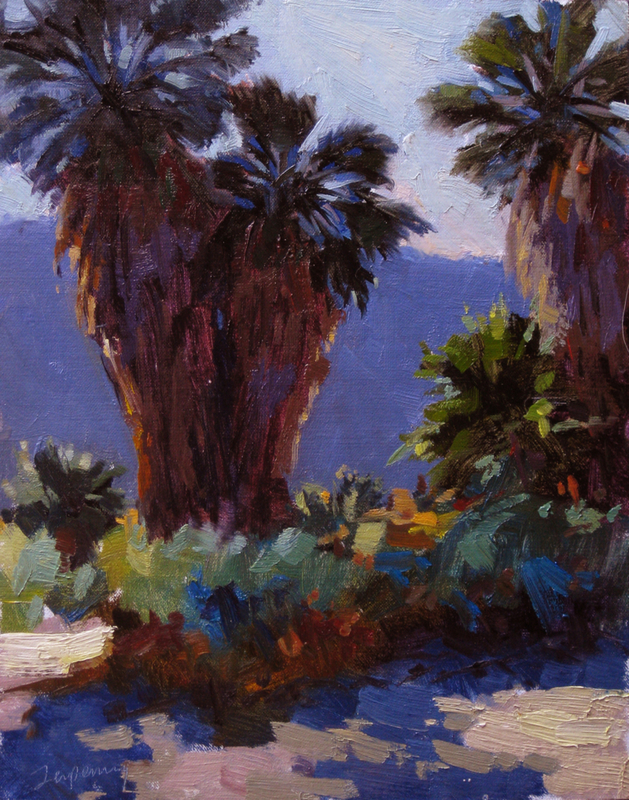 While in 1,000 Palms a few weeks ago, I painted two field studies (one, two) of a view between groups of palms to the steep hills below. The two studies where done in different light conditions, the first with the hill in shadow, and the second, a smaller opening than the first, which showed the hill later in the day as it was touched by the late afternoon sun. 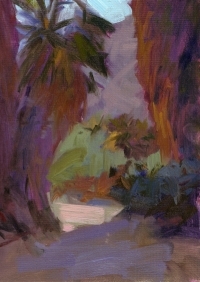 This one, my third, shows the light conditions with the light behind the palms, but looking in the same general direction. I used the reference photo in my studio, together with some of the color notes from the first two studies. Since I was in the studio, I remembered to take snap shots at various stages of development, and so have a little video made of snap shots tied together with iMovie. 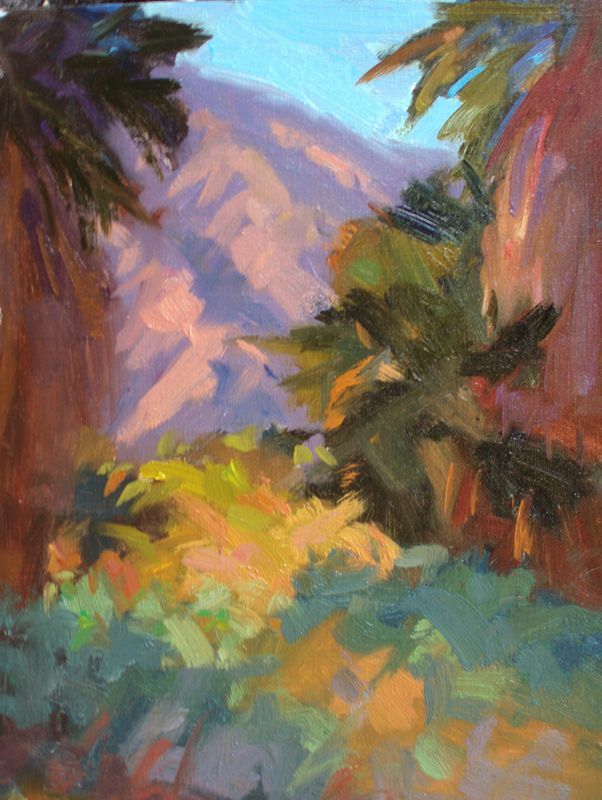 This has been posted on my YouTube channel (and added to a playlist I created of other painting demos). I can see this series holding interest, and think I’m ready to use these studies and paint much larger studio works. Stay tuned for those, I have this Friday off, so maybe I’ll dedicate the day to this task. Here are the first two paintings using this basic design (click any to enlarge). What do you think? Any favorites or feedback?